This valuable fishing information was compiled year-after-year from the best sources by the writers, photographers, and map makers of "Fishing & Hunting News" - for nearly 50 years the major source of fishing and hunting news in the state of Oregon. Conveniently collected in one book, this incredible storehouse of fishing information will help you and your fishing friends become more knowledgeable and successful anglers. 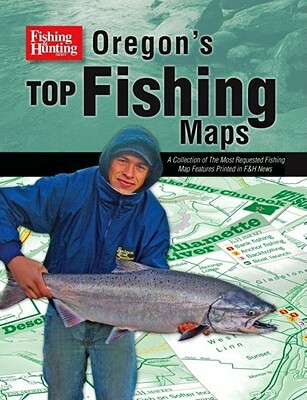 Use "Oregon's Top Fishing Maps" to plan your fishing adventures for salmon, trout, steelhead, bass, walleye, halibut, perch, etc. Discover new fishing thrills in places you've always heard about but never visited! Read about a stream, lake, or saltwater, study the map, make a few phone calls or web inquiries, and then put on your discovery waders!